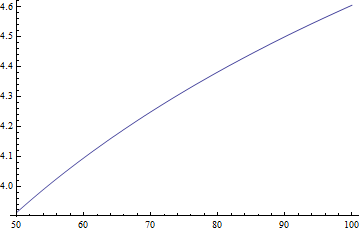 Now, I expect this to be close to a straight line as a function of $t$, so I would like to get the best slope from a fit. Looking at the reference website, I don't understand how to linearly fit a function. How do I find the best parameter to fit my data if the model is a interpolating function? How do I get the MeanPredictionBands from the fitting of the numerical solution of coupled differential equations to data? Least squares fitting: how do you handle a gapped dataset?